While waiting for the release of the complete app, due in early May 2019, download the simplified version and stay up to date with the latest news from the 72nd edition of the Festival! From May onwards, the updated app will provide festival-goers with all the necessary functions to organise their stay and allow everyone to experience the 2019 Festival in all its diversity! Videos from the red carpet, photocalls, press conferences, interviews, etc. 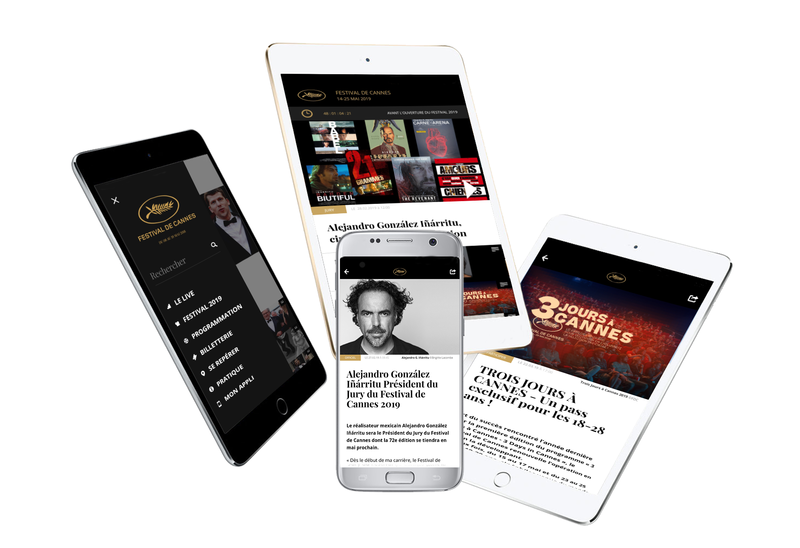 The "Festival de Cannes - official" app, developed for iOS and Android is available for download from the App Store and Google Play.